If you are not familiar with Buy Local Day, it is a new movement in place to help reduce the strain on our environment by encouraging people to shop at their local Mom and Pop stores instead of with big retailers. These smaller stores consume much less energy and are generally much more earth friendly. One of the main problems of big retailers is that they have to ship truckloads of goods across the country. By purchasing locally, you can help with the effort to greatly reduce fuel consumption across the nation. When you participate in a Buy Local Day, you're helping your local economy as well as the environment. The theory behind Buy Local Day is that too many small stores are getting pushed out by big retailers who have more purchasing power. It is too hard for many to resist the lure of extra low prices and local shops are the first to suffer. Unfortunately, local diversity and history also suffers when people stop visiting these stores. Even though they may have higher prices, these small shops are the link within a community. When a big chain store moves into a town, the local economy may get an initial boost as more jobs are created. However, wages are usually lowered and even though more people are employed, business owners quickly go out of business when they can't compete against these powerhouse conglomerates. Links to your communities past can be destroyed within a matter of months, never to rise again. 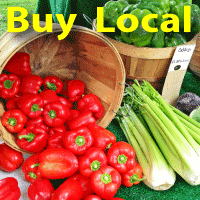 Entire states are beginning to take part in Buy Local Day and it is very easy to find an event in your area. If you would like to get involved, you can actually host your own Buy Local Day to give your community the jump start it needs. The process is actually quite simple and local businesses will be more than happy to help you promote the event, usually at no charge to you. When you take part in a Buy Local Day, you are making a stand that you won't tolerate the big business practices of these chain stores. Your voice does matter and if more people get interested in supporting their local businesses there is a greater chance that urban sprawl can be halted before it gets even worse. Protect your town and show these mega stores that buying locally is the answer by making a stand now. The sooner more people get involved in a Buy Local Day event, the quicker large chains will get the message. 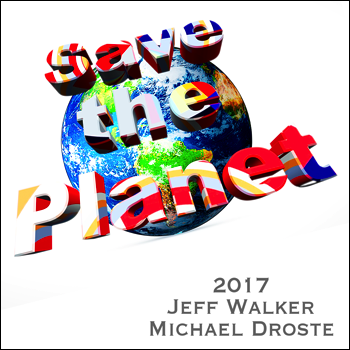 Yes, we all love to save money, but are you prepared to pay the higher cost to the environment and to the economy of your town?